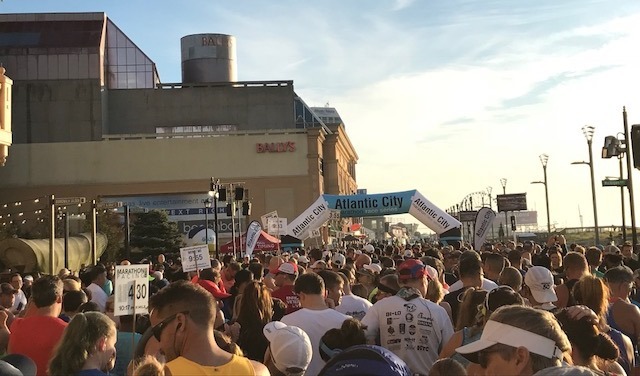 The Atlantic City Marathon in New Jersey was Day 2. 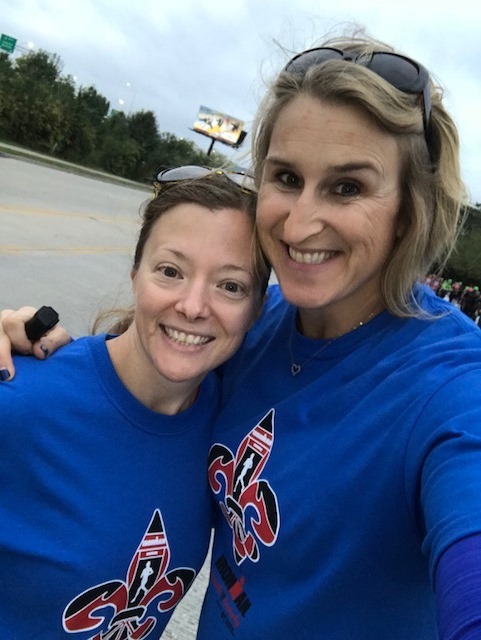 The second marathon for our double marathon weekend. 2 Marathons. 2 Days. 2 States. Totally normal, right? Maybe not, but this was an easy double if you ever want to try one. 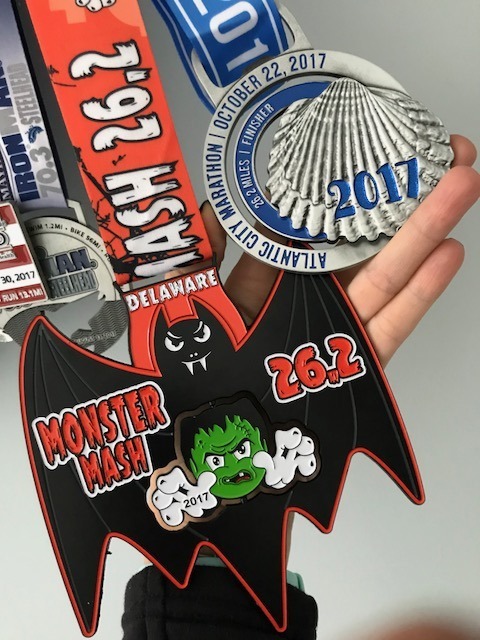 We picked Atlantic City because it was a short 2 hour drive from Dover, DE where we ran the Monster Mash Marathon the day previous. 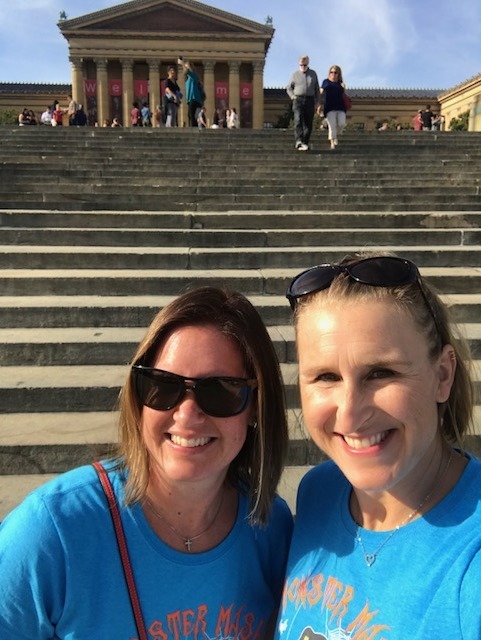 The drive was so short that we even detoured thru Philadelphia to fulfill a childhood fantasy of running up the Art Museum steps like Rocky Balboa! Super exciting. 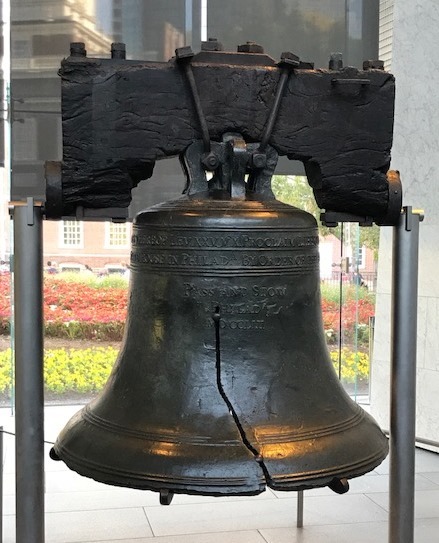 Then hey, stopped over to see the Liberty Bell too! Some people thought we were crazy for actually running up the steps. It was fun! 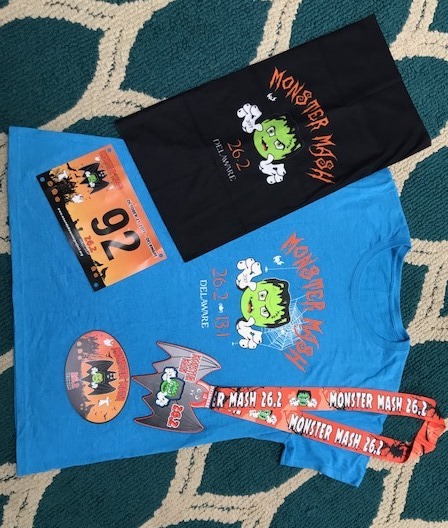 There were only 72 steps and it probably loosened us up after running the Monster Mash Marathon! Good news, we weren’t the only crazy people, some even had the Rocky Theme song playing. Obviously, we weren’t too serious about this double. Its not our first. We just go, run, have fun and keep things light. As for the steps, had to do it. Who knows if I’ll ever get that close to Philadelphia again. No regrets, right? I would have regretted not running up those steps! On to Atlantic City. Packet pickup was at Ballys. We parked in the garage. Posted parking fee was $22; however, they reduced the fee for runners to $5. Thank you!! Small expo. Easy in and out once we figured out where to go inside the hotel/casino. Dinner in the hotel/casino. Checked into our hotel by 8pm. Tip: We stayed at the Sheraton by the Convention Center. It was about a 10 min walk to/from the race start/finish. No smoke. No gambling. No hoopla. Less $$. Race started at 8am so we got to see the sun come up while we were waiting to start. It was steamy. Humid. Warm. As we awaited the race start, it was different than most races I’ve ran. There was a start line and a gated corral. The pacers were inside the corral. Alone. We were all crowded outside the corral wondering what was going on and when they would open the gates. They opened the gates right at 8am. It was a mad rush for some to get in where they wanted to be, others were climbing over the fence. Most just lined up as they entered the corral. Somewhat chaotic. Not an issue for us since we were planning a leisurely race but I certainly see that it could have been an issue for some. Eventually, we were all in and ready to run. 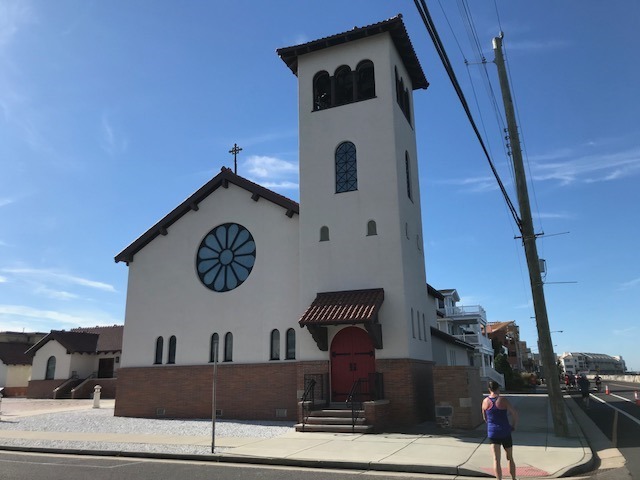 We started the race heading north on the Boardwalk for a short distance, then a quick left on Martin Luther King Jr. Blvd, then a quick left on Bachrach Boulevard. Mile one. Decent sized race. Some spectators. Decent Streets. Views of the water at every glance. First the Atlantic, then various bays & channels. So many that it was hard to keep up with which body of water we were crossing and/or passing at any given time. Foggy morning due to the heat and humidity but not so hot that we were miserable. Just warmer than most prefer. But it was beautiful. Soon we entered a long tunnel. There were lights so it wasn’t dark. Runners were whooping and yelling to hear themselves in the tunnel. Kinda cool. 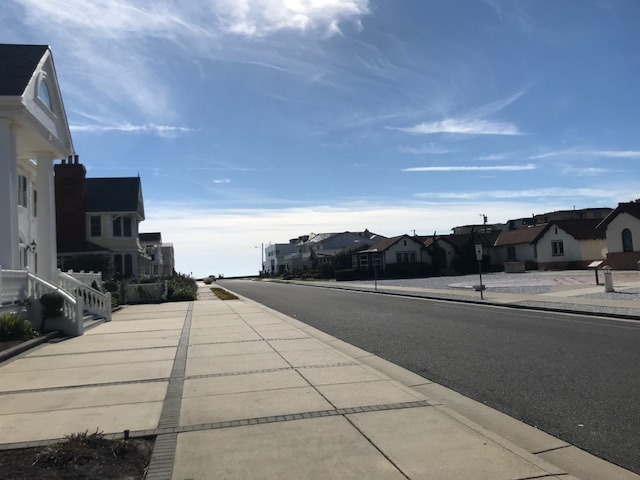 Thru some neighborhoods, up a couple highway ramps, then back to the Boardwalk, this time heading south around mile 7.75, passing the strip of casinos. Aid stations were spaced about every 1.5 miles. Lots of volunteers. Police. Bicycle escorts for the winners. Well marked course with plenty of course marshals enthusiastically directing runners. 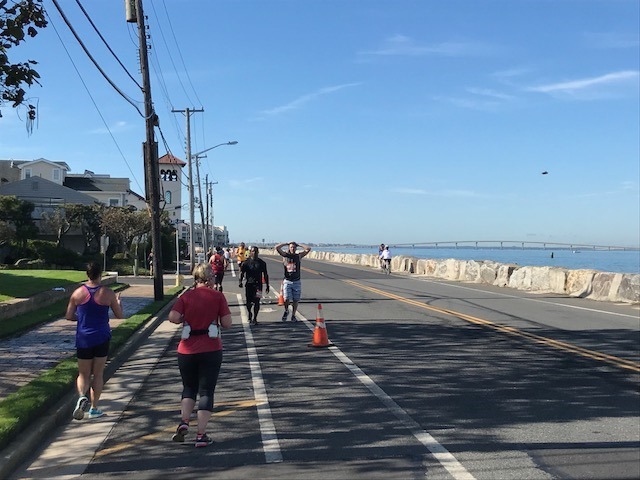 We ran south on the Boardwalk til approximately mile 13, then turned off heading South for an out and back on Atlantic Avenue. Busier road on the inner side of the Casinos. Sloped because we were running on the side. Lots of shops and restaurants and beautiful homes. Took Atlantic Ave until it ended in Longport at the Great Egg Harbor. Awesome aid station in that area that had mini Swedish Fish. Yes! What I can’t stress enough about this race are the water views. Even when we were running in neighborhoods down seemingly normal streets. If you look to either side at a cross street, you’ll see water. I enjoyed it. 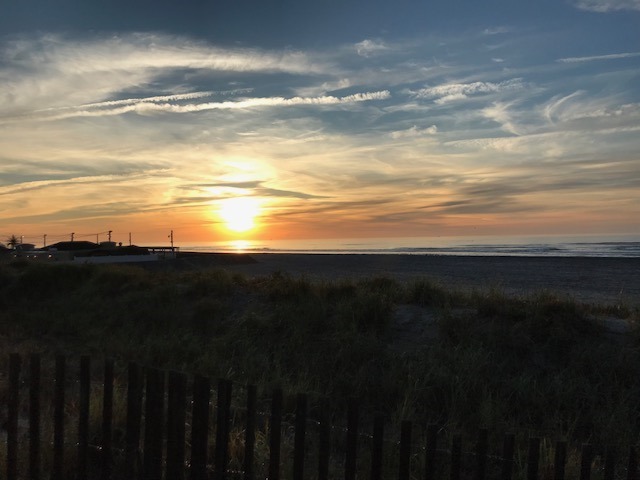 Not beach front running per say but the area is surrounded by water. Atlantic Ocean to the left in the pic below. Thru the streets and neighborhoods until mile 23 when we hit the Northbound Boardwalk to finish the race. Start and finish were both in front of Ballys. By the end, I didn’t love running on the Boardwalk. Softer surface, yes. But the lines of the various boards made my dizzy. I tend to put my head down and “just run” when I’ve had enough. And yes, I was ready to be done by mile 22 and in the head down mode. Once I hit the Boardwalk, too many lines. Too much motion. Too much heat. And I was “almost” tired. We had more traffic on the Boardwalk to dodge since more people were out and about. I was happy to finally see the finish! Great after party. I saw lots of beer flowing if you like a beer post race. There was a band. Gender specific, long sleeve tech shirt! My favorite!! Great medal. Good race. More runners thank the day previous but still small. 832 half marathon finishers. 609 marathon finishers. Flat other than a few bridges. Good double with Monster Mash because both were flat and not to physically taxing, other than the mileage. Bling from both days is below. Next Up, Indianapolis Monumental Marathon on November 4th. My 4th appearance at this event. Its definitely one of my favorites. Crossing my fingers for cool, crisp weather and a fast race! I’ve been recovering this week after coming off a big weekend. 2 marathons. 2 states. 2 days. 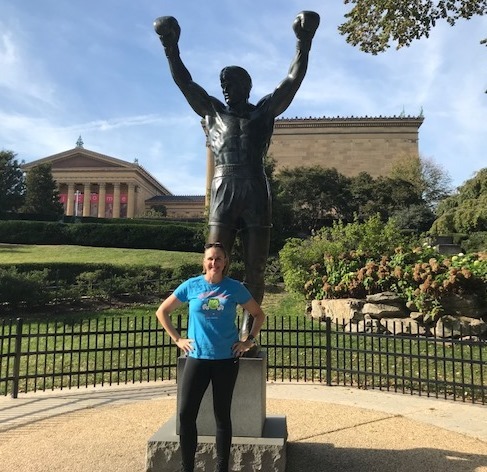 Plus maybe a side trip thru Philly to run up the steps of the Art Museum and relive the glory days of Rocky Balboa. Maybe. Just maybe. 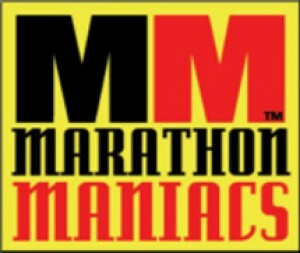 Anyhow, back to the marathons! 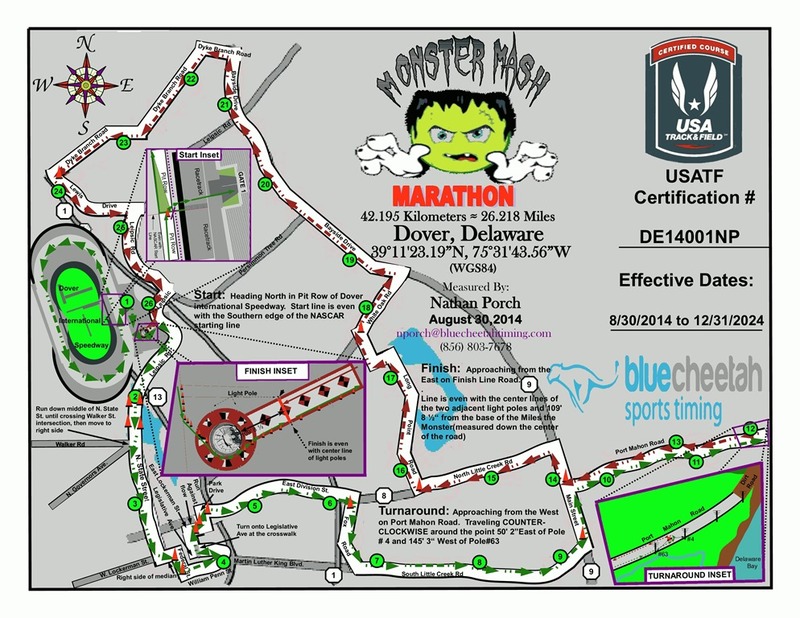 First up, the Monster Mash Marathon in Dover, Delaware. 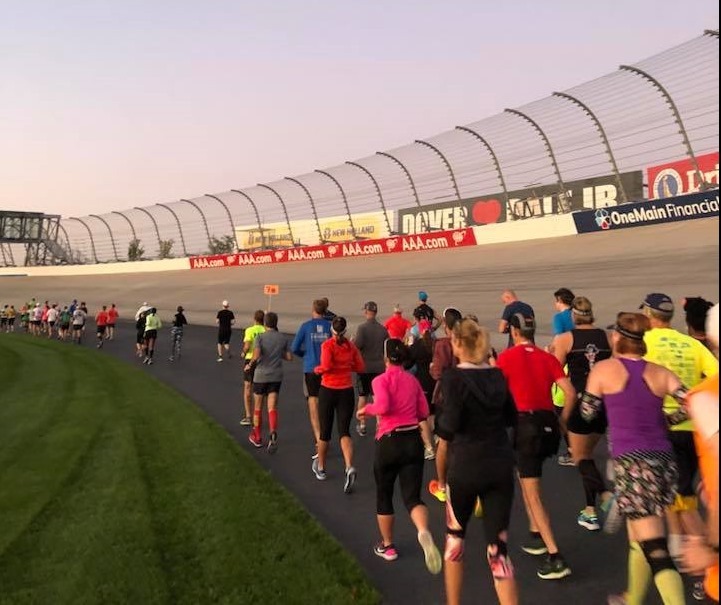 Start and finish is at the Dover International Speedway way. 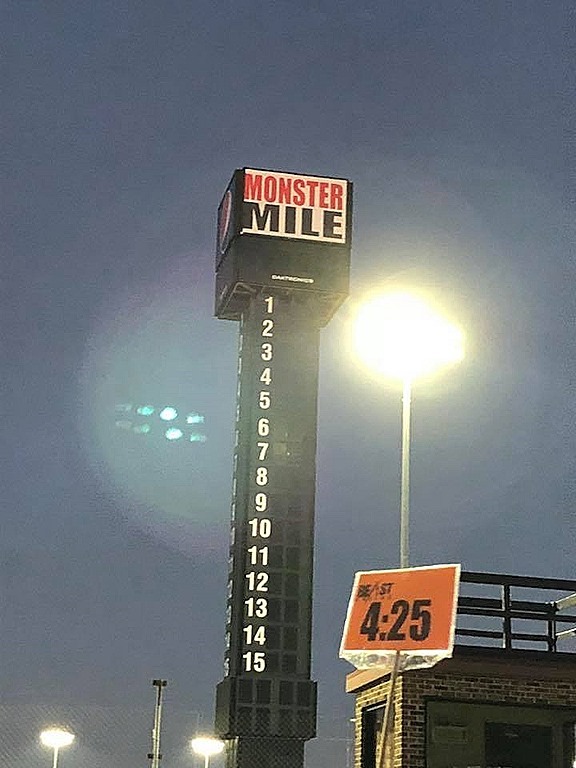 If you are a NASCAR fan, then no other explanation is needed. 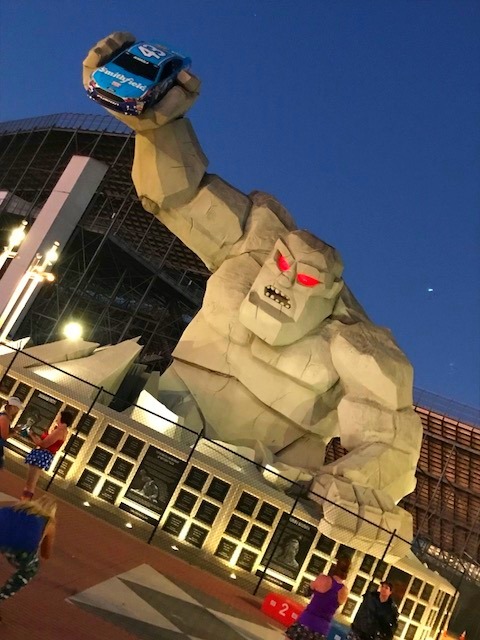 If not, this monster seems to be track mascot. I used to be a bit of a NASCAR fan but that ended with the death of Dale Earnhardt Sr. Therefore, I didn’t know about the monster, or that it was the mascot. I didn’t know that this was a short track. 1 mile. Shorter than a lot of NASCAR tracks on the circuit. I sign up to run races based upon what fits my schedule. As a result, not a lot of research goes into each race. That’s part of the fun for me, the surprise of a new race, new course, new town, new state. Fun! We arrived at the track on Friday evening to grab our packets. Packet pick up was fast & easy. Free parking. Less than a 100m walk to the tent. Halloween Candy scattered throughout the tent for snacking. We were in and out in less than 10 minutes & that’s with Julie talking to a lady about her doodle puppy. Julie loves her doodles! Our hotel was a couple miles away. Comfort Inn Suites. Awesome beds that were so comfy! Then back to the track for race day on Saturday morning. Unlike big marathons, you can arrive within 30 minutes of the start for this race. You can pick up your packet race morning, if you like. And you can use the indoor bathrooms at the track before you hit the start line on the race track by pit row. I liked that the start was on the race track. Kinda cool. Very sloped though. I definitely don’t envy the NASCAR drivers who have to get up to such high speeds on this steep and short track! One lap around the track = 1 mile & we were off to tour Dover and the surrounding areas. 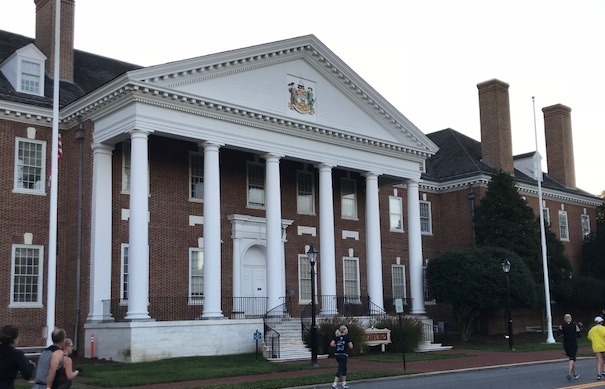 My favorite part of the course came early as we passed thru the Government buildings around Legislative Avenue, mile 3.5 to 4.5. Aid stations were very frequent, especially in the first half of the course. Hammer gels were offered. Water. Gatorade. I’ve never seen as many gel stations on course than at this race. Very impressive. We ran a lot of country roads. But they either let us run the entire road, or had cones separating us from vehicular traffic. We had plenty of room and cars were not too much of an issue. 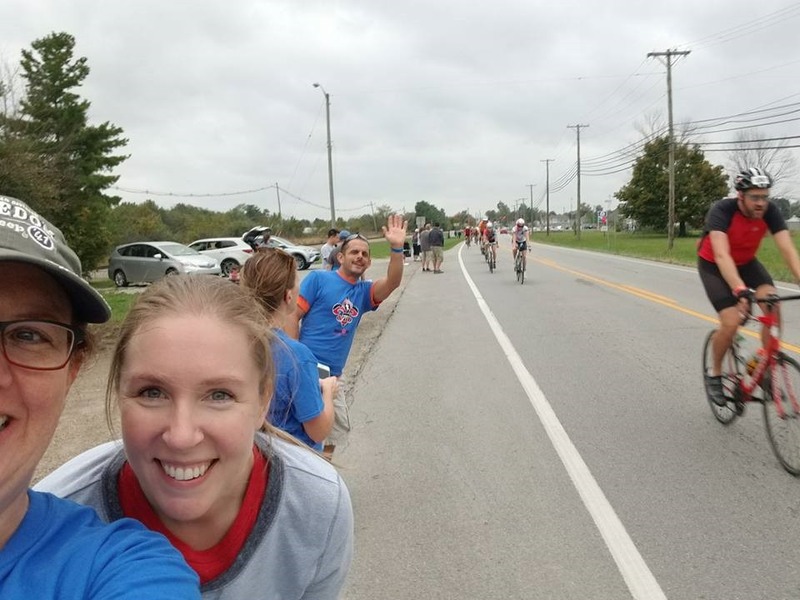 We did have one motorcyclist yell at us to get over but for the most part there was very little traffic and everyone seemed to be in good spirits throughout the race. Course wasn’t super exciting. But it was flat. Well marked. Volunteers and aid stations were plentiful. If you were in need of a bathroom, those were harder to find but probably spaced every 5ish miles or so. Overall a good race. I was pretty excited about it coming in as I had heard positive things. However, I wasn’t feeling great at this race, so my experience was not amazing. No fault of the organizers. 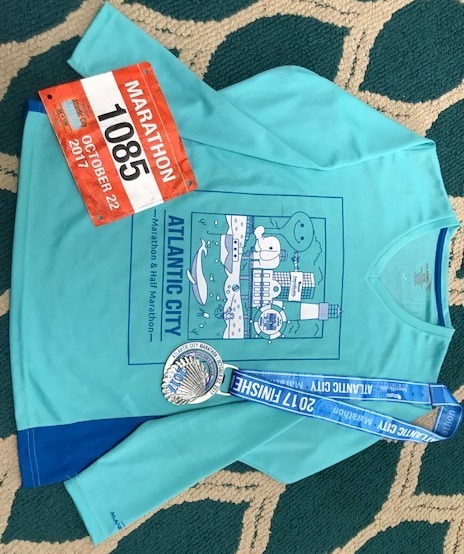 Loved the race shirt & the medal! Plus they gave us a buff and magnet. Nice theme. Some people dressed up for the holiday. Overall, small race so not a lot of people. 177 marathon finishers. 237 half marathon finishers. 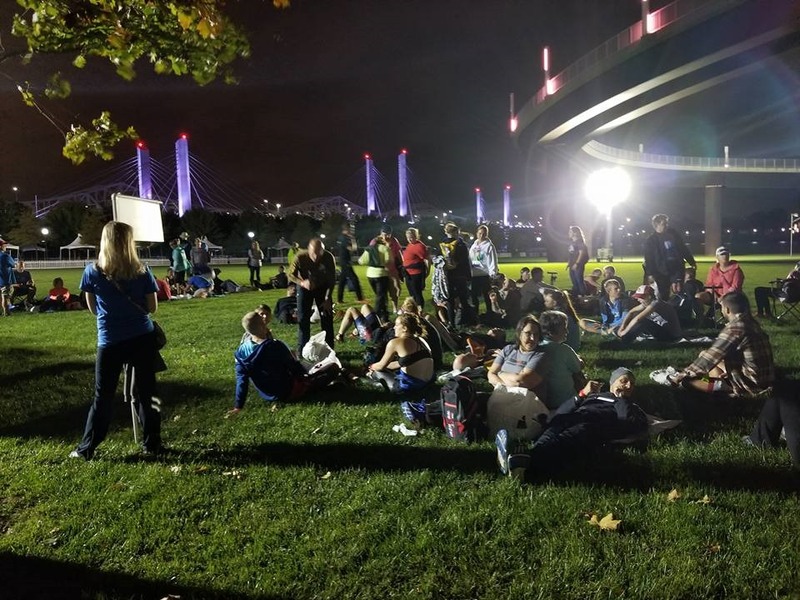 If you need spectator support and big crowds, this isn’t the race for you. If you just want to run without a lot of hassle, then you’ll love this one. 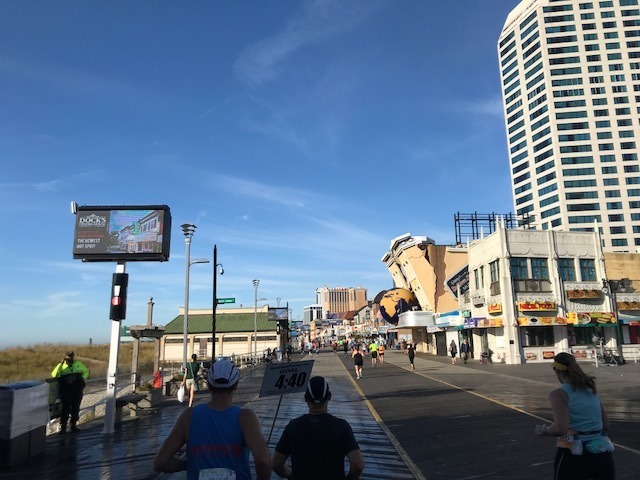 Next up, the Atlantic City Marathon race review! 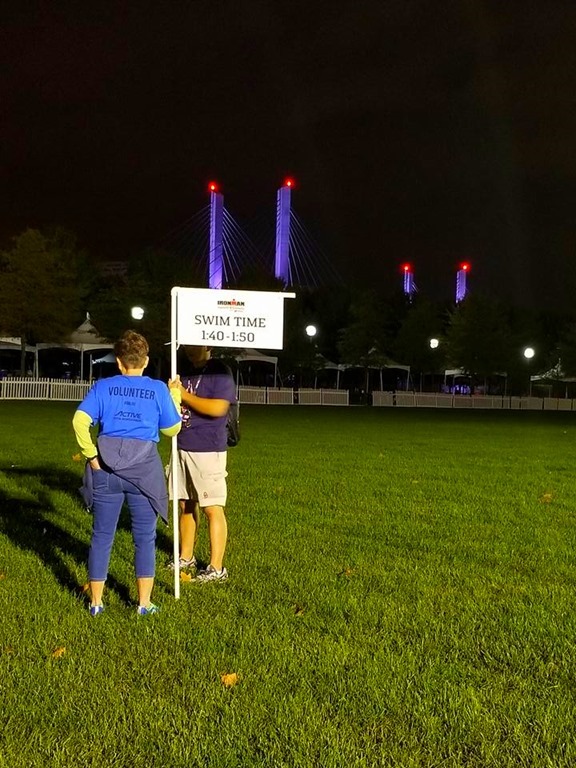 This year, I did my first volunteering & spectating stint at Ironman Louisville. This is the closest full IM event to my home. I wanted to go, take it all in and support a few friends who would be out on course. Since the goal was to volunteer & spectate, I got up early to volunteer as a swim pointer. My shift was from 5a to approximately 8:30a. 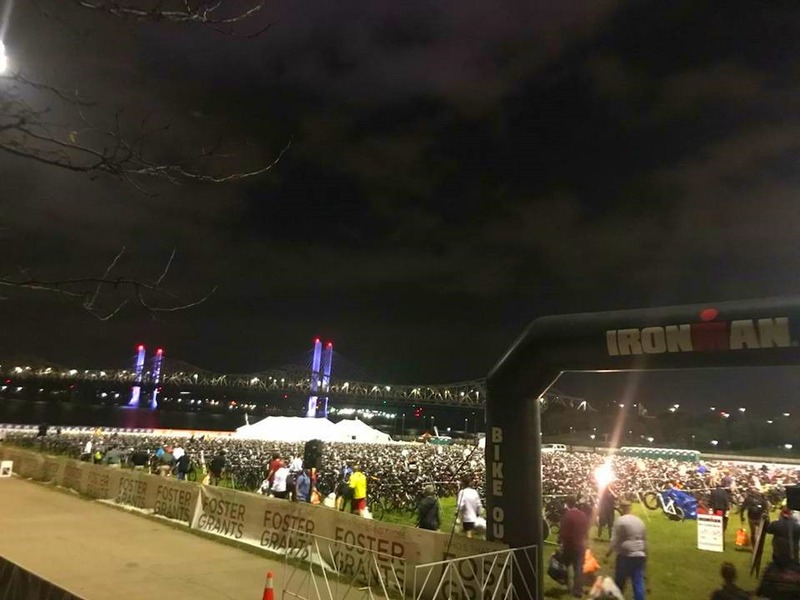 Welcome to Ironman Village before the sun comes up! The swim pointers were ready to receive athletes when they arrived, get them lined up & help them with whatever they needed. We were also instructed to keep the lines tight and orderly. To be honest, I was surprised how early some athletes go to the swim start. Transition did not close until 6:45am. Race start was 7:30am. There was a 15-20 minute walk from transition to the swim area. We had people lining up for the swim, right after 5a. 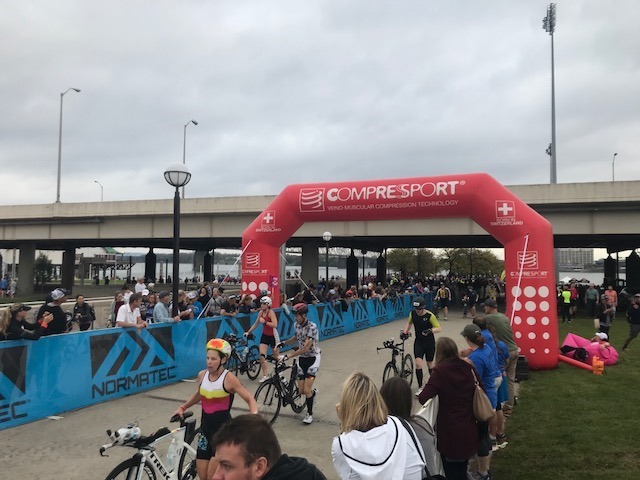 As a triathlete myself, who is not a super fast swimmer, I’d have been walking out of transition about 6:45 to head to the swim start. Apparently, I’m in the minority. These athletes were on it and ready to rock & roll! There was a nervous energy in the air. Most people were ready to go; however, a few had small issues like lost swim caps, questions about where to put glasses & morning bags. But overall, the athletes were prepared, respectful of the area and I was super impressed that they didn’t leave behind a bunch of garbage for us to clean up. Best athletes ever! The Pros took off at 7:20. Age groupers soon to follow at 7:30 in a self seeded rolling start. Easy. Smooth. Everyone was in the water before we knew it. We cleaned up. Then headed back to transition, walking along the river (pic below) to see our athletes head out on the bike. If you want to volunteer and not miss much of your athlete’s day, the swim pointer position is great! Back at transition the Pros were heading out and we made it in time to see the first of the age groupers. Fast swimmers! After our athletes left on the bike, we headed to the car to find a spot to see them on the bike. 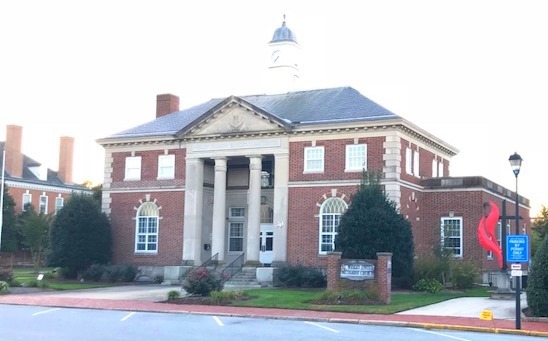 If you are looking for a great place to park for the Great Lawn transition area, look around Floyd Street. 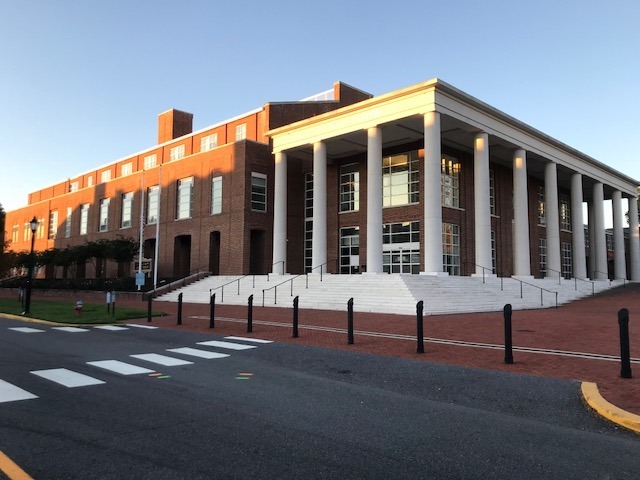 Find a spot, walk toward the water & you’ll run right into transition after crossing Witherspoon Street! Since we were parked on N Floyd Street, we had easy in and out. No issues with race traffic. We were close to the expressways and didn’t have to cross the path of the bike or the run. Winning! Prior to the race, I did a little research and learned that most who spectate the bike go to Lagrange. But I also learned that the area is congested & on a downhill section of the course where it is particularly difficult to see athletes as they zoom past at high speeds. Several users from the Slowtwitch forums suggested driving out and finding a spot along the route before Lagrange. So that was the plan. A loose one. 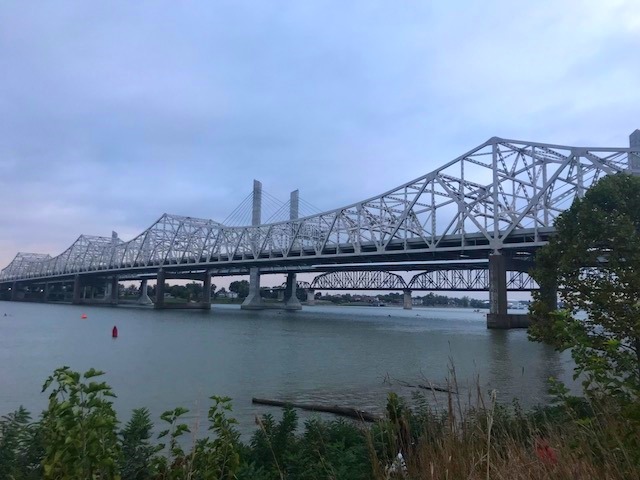 We took 71 North out of Louisville heading toward the intersection of KY 393 & KY 146. I missed Exit #17 for KY 146. Took the next one, Exit #18 for KY 393, toward Buckner. And dumb luck put us in the perfect spot with a Park & TARC parking area on the corner of Commerce Parkway & 393. We used the parking lot & hiked it up the hill to the corner of 393 & 146. Not crowded. Easy to spot athletes because they just turned from 393 onto 146 and they weren’t at full speed quite yet. Great spot. See my yellow highlighted arrow below to see about where we ended up. Bonus, there was a gas station on the corner of 393 & 146 in case anyone needs a potty or snack break. We stayed in this location to see our athletes on both loops of the bike. Everyone was having a good time. Darla E & Beth P taking a selfie below. Clint P photo bombing. Random Ironman athletes in the background. After seeing our athletes a couple times, we headed back to town for lunch. Parked on N Floyd again. Walked straight down to Witherspoon & watched the athletes coming into T2 from the bike. Once they came in, we walked over to Run Out. Saw them again. Then we headed out to the run course. Lots of spots to see the runners within walking distance of transition. However, the majority of the spectators go to the finish area on 4th Street. 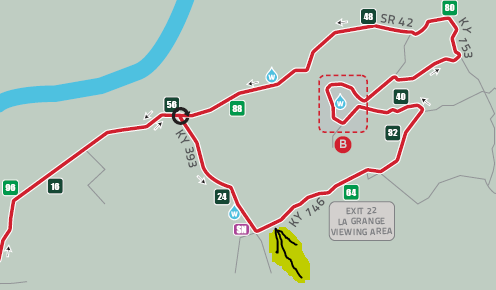 The finish area is also the beginning of loop 2 for the run. So cruel, right? Yep. Welcome to Ironman. Anyhow, lots happening at the finish area. Food. Drinks. Starbucks. Need I say more? 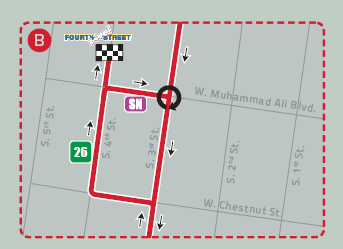 You can cheer for the Pros coming in on 4th Street, as well as the athletes going out on their second run loop as the turn onto Muhammad Ali Blvd. Great day at Ironman Louisville 2017! Thanks to Sara & Clint P for making the trip down with me. Thanks to Darla E for some of the photos that you see above. As always, Ironman delivers a great day whether your racing, volunteering or spectating. Its worth the trip. And in case your wondering, we logged over 24 miles spectating. Not for the faint of heart. Probably the best tip I can give, wear real shoes. You’ll thank me later.